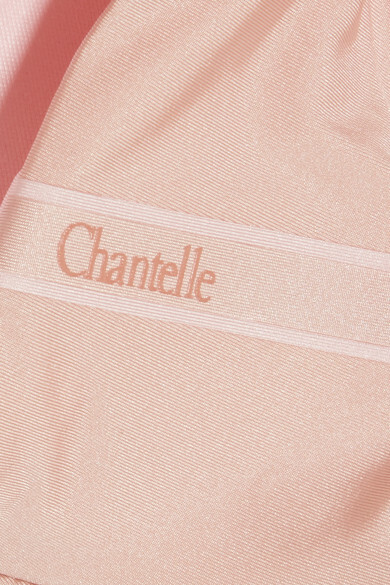 Chantelle's sand and pink strapless bra creates a seamless finish under off-the-shoulder silhouettes. This piece is designed with contoured cups, side boning and internal gumming to ensure it doesn't slip. It has optional straps for added lift, and an elasticated back panel for flexibility. Shown here with: Chantelle Briefs.